Offset the mellow stone walls and warm brick of a country inglenook fireplace with a cool Scandinavian colour palette of off-whites and blues. The antique Chesterfield sofa is covered in vintage Hungarian grain sacks. 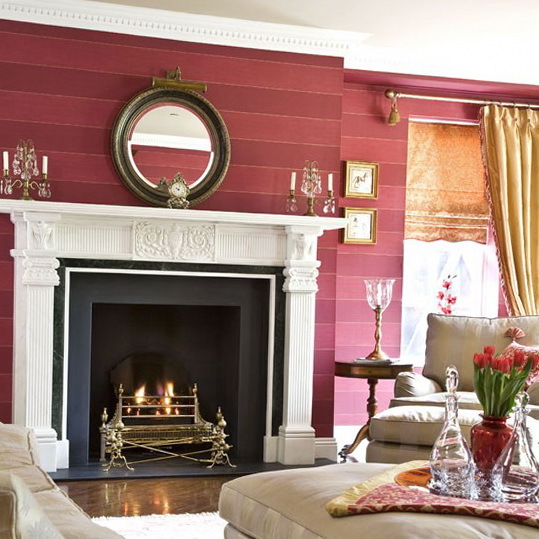 In a snug, informal living room, built-in bookshelves line the alcoves, painted to match the walls for a seamless look. 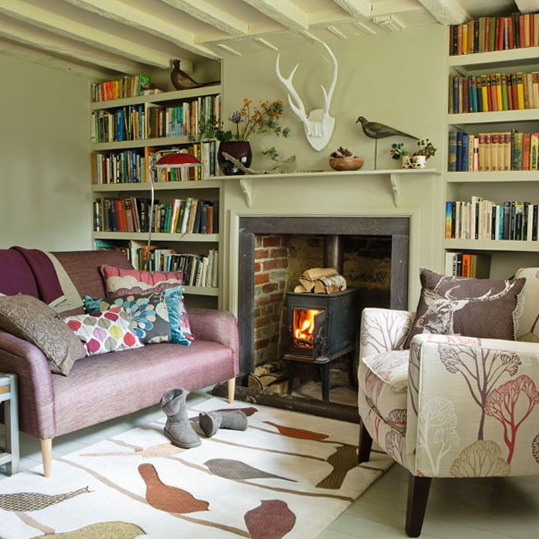 Draw up the sofa and armchair around the stove and complete the cosy scheme with a lively patterned rug. 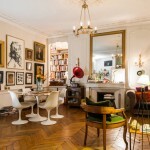 Pre-loved and salvaged finds are the new heroes of the country home. 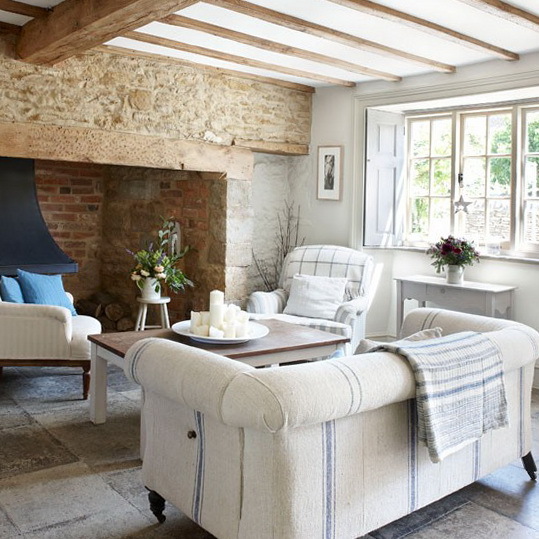 Don’t be afraid to mix rough-hewn woods with classic soft furnishings. Keep to natural tones of cotton and linen and pretty up the look with recycled vases and carved birds. 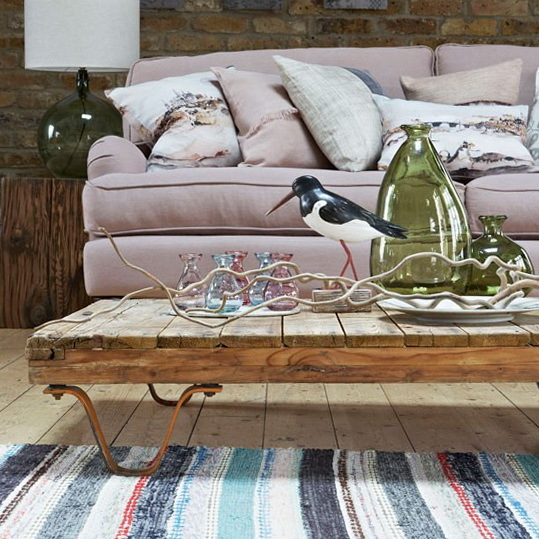 For a timeless coastal look, dress the living room with white soft furnishings and team with a rustic coffee table. 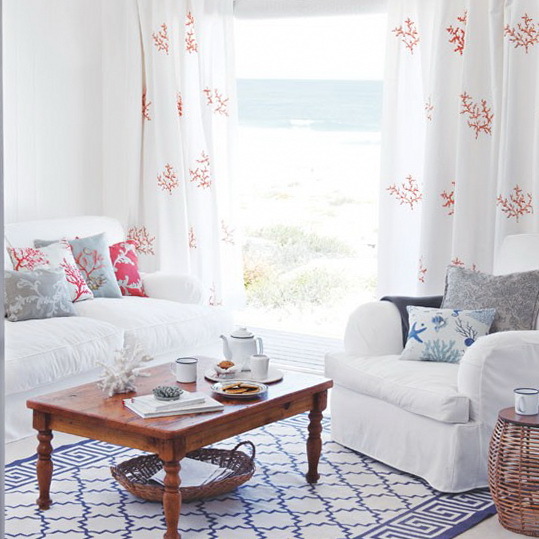 Coral patterned curtains and cushions provide gentle colour while a geometric rug anchors the scheme. 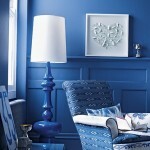 Give a new lease of life to a much-loved piece of furniture with an informal loose cover in a delphinium fabric. Its softly gathered skirt emphasises the country look. 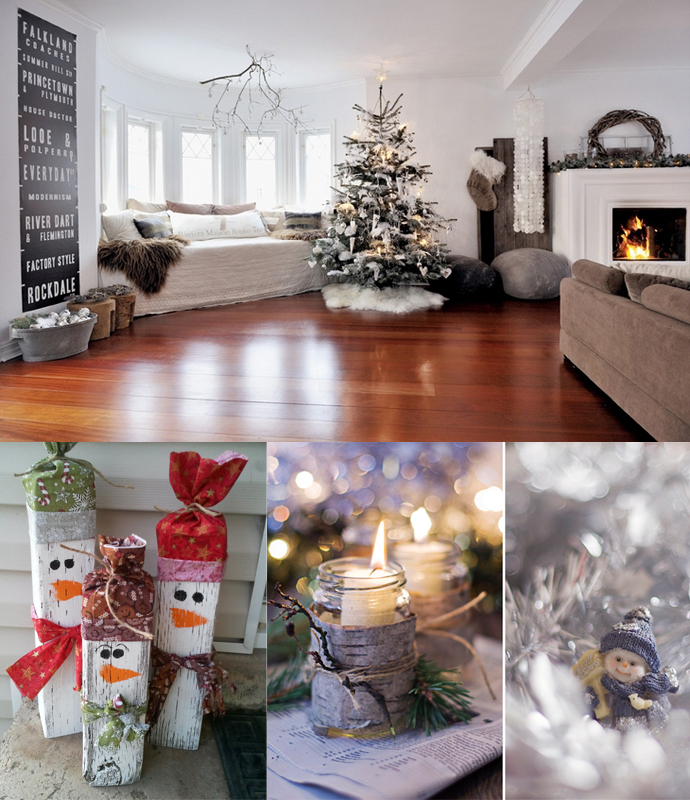 Plain white walls and neutral furnishings won’t feel chilly if you step up the warmth with chunky knitted accessories and include a variety of textures. 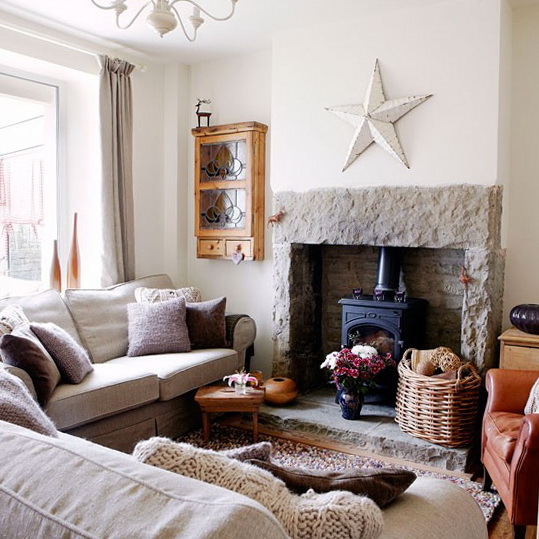 Add stripped-wood furniture, a cosy rug, generous wicker log basket and a tan leather armchair. 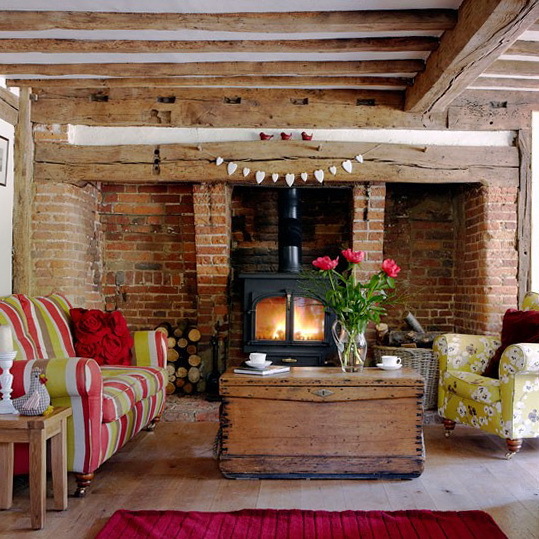 The blaze of a woodburning stove provides the perfect eco-friendly way to stay warm in this beamed living room. 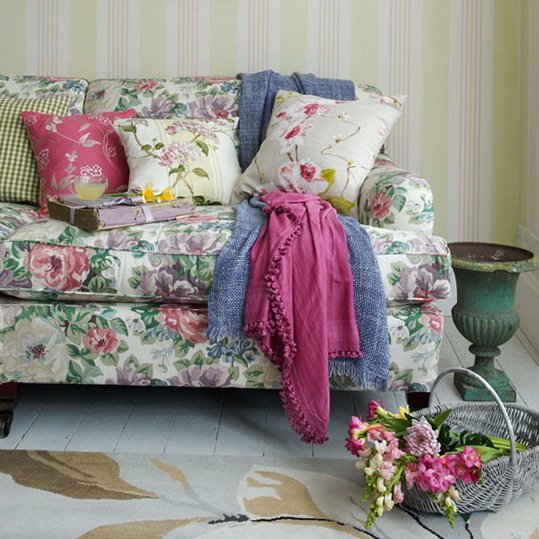 As a contrast to the solid wood and bare brick, cover a sofa with bright stripes and choose a perky green floral to upholster an armchair. 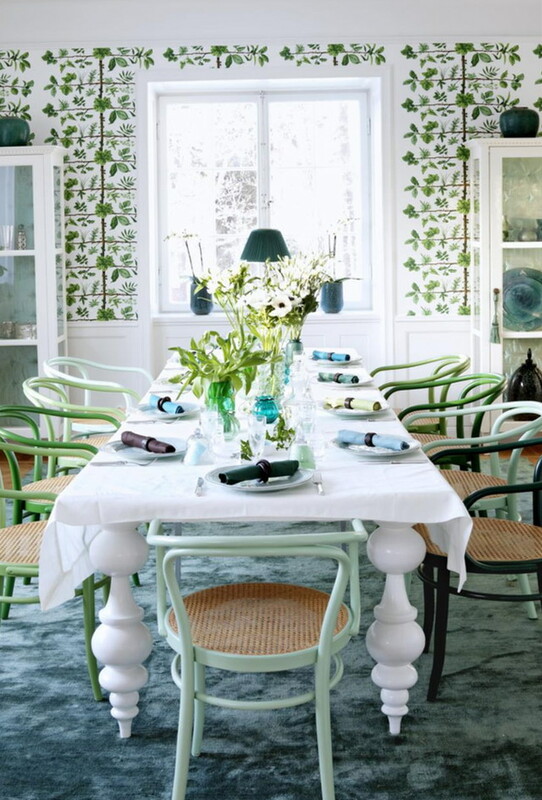 Give elegant French-style furniture an English country twist. 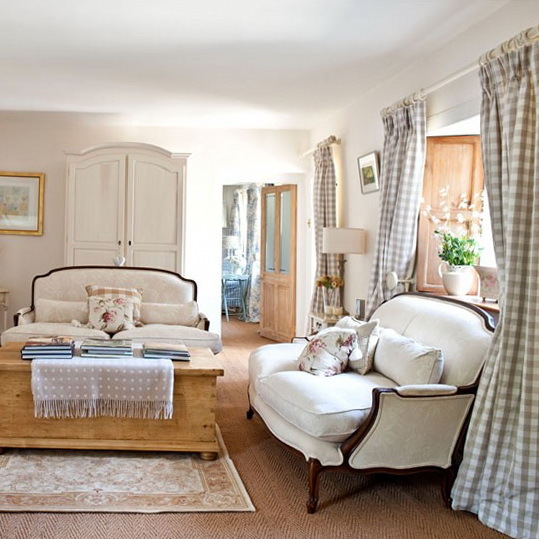 Louis-style sofas blend with curtains in typically British checks, all in a peaceful neutral colour scheme, with floral cushions and a patterned rug to add interest. An abundance of flowers is a sure-fire way to refresh a living room. Linens block-printed with traditional blooms provide a timeless country-house feel when set against an elegant striped wallpaper in muted tones. 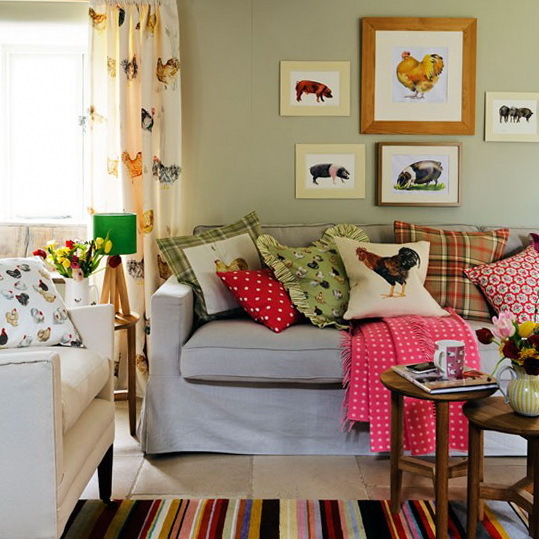 Give your living room a taste of the good life with farmyard-inspired furnishings. 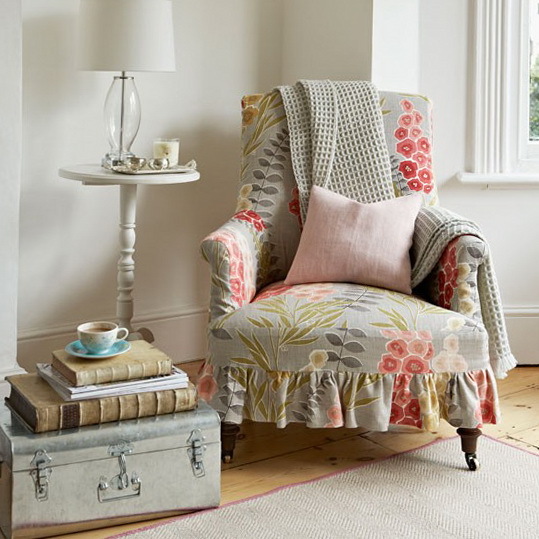 Look out for animal-motif fabrics, put up pictures of your favourite pig breeds and pick up on the retro angle with a polka-dot throw and striped rug.